Amahl and the Night Visitors performed by The San Diego Ecumenical Opera, December 2010. I’ve been calling myself semi-retired, from the library world anyway. I’m not completely ready to stop working. A community college in Northern California interviewed me last summer, before putting me on their adjunct list—they may have some hours for me spring semester. If all else fails, I can always work part-time for my old school in San Diego County. Meanwhile, I’ve been taking a breather in my cabin on the Oregon Coast, working on my health, and getting a lot of writing done. I’ve certainly begun promoting my new chapbook, Breast Cancer: A Poem in Five Acts. And I’m back in the Central Coast Chorale. We’re preparing for a series of holiday concerts slated to take place in Lincoln County, Oregon, this December. I was waiting for our second rehearsal to begin when one of my sister singers told me about another coastal production scheduled for December, Amahl and the Night Visitors. This was going to be a joint effort between the Porthole Players and The Newport Symphony Orchestra. The people sitting near me continued to natter on. Apparently, there is one day where individual performances of Amahl overlap with the choir concert—somewhat. “No matter,” one singer said. “We’ll run up to Lincoln City to perform the matinee concert, and then we’ll return to Newport to get ready for Amahl.” I must have looked interested, because she went on to tell me when auditions were (that same weekend). Then she informed me where I could locate the music online—for the audition. I found myself mulling the possibility over. I’d performed in the chorus of Amahl and the Night Visitors in 2010. This was a student production, directed by my voice teacher, Esther Jordan. I actually outlined my road to this unlikely opportunity in my memoir-in-verse, Voice Break. I decided I could probably remember my old part for the audition—get it ready for the next day. It felt a bit eerie to enter the smaller performance studio in the Newport Performing Arts Center, a room rimmed with black curtains. While I’d auditioned for three choirs in the last ten years (a process that generally consists of singing scales and exercises revealing how well a singer sight-reads), I hadn’t tried to audition for a show with a prepared song since the age of 25 (and for the record, I’m now 56). However, I had been working on my singing. Before leaving San Diego County, I studied with my voice teacher for more than seven years. And I now have almost five years of choir singing under my belt—time with the three different choirs. To repeat, I had not tried out for a musical theater production since my twenties (and by the way, I was never cast in a musical back then). I did get to taste a small speaking role in The Taming of the Shrew at Lane Community College (in Eugene, Oregon). And I appeared in a few dance concerts, but I never sang on stage during my initial tango with the performing arts. My passion for all of this eventually fell by the wayside when I became serious about my library career. I began working for the Seattle Public Library in the late eighties—my first librarian job—and this took up the bulk of my time. But now I’m a retiree! On to the music for Amahl. The night before, I’d prepared for the chorus, soprano part. That was all I wanted to shoot for—nothing huge. There were two other women in my group, both trying for soprano. First, the director had the three of us sing the soprano line. Then she had me and one other woman sing the alto line. Then she moved me back to soprano. She invited the men to join in. At some point, we all sang as a chorus. After this grand finale, I was able to breathe a sigh of relief and head to Starbucks. They were moving on to cast the leads. A few weeks later, I got the call. The director offered me the part of singing shepherd. Retirement is an adventure, I guess. Amahl and the Night Visitors will take place on Saturday, December 8 at 7:30 pm and Sunday, December 9 at 2:00 pm in the Newport Performing Arts Center. Getting ready for Amahl and the Night Visitors – performed by the Porthole Players and the Newport Symphony Orchesta. Signing books in Toad Hall (Yachats, Oregon). I will be signing copies of my books at the Florence Festival of Books in Florence, Oregon, on Saturday, September 29th between 10 am and 4 pm. The festival will be held in the Florence Events Center on 715 Quince Street. Last month, I launched Breast Cancer: A Poem in Five Acts in the backyard of my close friend, Patricia Santana, a writer in her own right. Patricia and her partner, Jack Madowitz, went all out with the food and drinks—the ambience. They set up extra tables and chairs. They took charge of my sales so I could mingle. And though it is difficult to relax into a party when you are the planned entertainment, I was able to enjoy the good wishes and hugs, the repast even. I hadn’t seen many of these folks since my retirement from Cuyamaca College, over a year ago, because I left San Diego County to embark on various adventures while also designing my next leg of life. It was nice to catch up—celebrate the summer, not to mention Patricia’s own more recent retirement from the school. Yes, they were expecting me to read—and then sign books. That was whole the point. I was pretty relaxed as I stood, book in hand, about to deliver sections to an audience for the first time. I felt honored to be introduced by a writer I admire, particularly for her willingness to be honest. I’m certainly proud to be her friend. What I wasn’t expecting, though, was this on-the-spot realization I’d opened myself up for personal questions. In writing the book, I’d had complete control over what I focused on and what I left out. Besides, a book becomes an organic boundary between writer and reader, a place to stow painful revelations that don’t have to be openly discussed. As I scanned the familiar faces, the thought came to me that anything could come up during Q & A. While this may seem like a no-brainer, I hadn’t contemplated how it would feel to discuss the finer points of what medical personnel did to my left breast—this to a group of colleagues and friends. I made the decision then and there to lean toward openness. I did wonder if I’d regret it later, squelching the bout of awkwardness that flared as I rambled into my “time for questions” line. I found myself signaling a willingness to answer things about my medical situation in order to put people at ease. If a person needed clarification about some aspect of this painful disease, I was going to try and offer it. I was the one who’d opened the door to this possibility. I was already finding the evening a bit of a balancing act—being sensitive to those I knew had gone through breast cancer (or were going through it) while also responding to those who’d never dealt with the disease. I’m well aware breast cancer victims have varying experiences with their treatment. I also know my situation isn’t the most painful case on record. I didn’t want to upset anyone whose condition was worse than mine. People went easy on me. Maybe they felt awkward, too. Most questions were of a philosophical nature, “How have things changed about the way you view your life, now that you’ve gone through breast cancer?” Or something to that effect. I was happy to explore this territory instead of inquiries like, “Did chemo make you puke?” Still, I haven’t changed my mind about answering the puke question—or ones like it (though I’m sure I’ll discover where my line falls, should I continue to share this book in person). I don’t want to tuck this side of my life out of public view, because I’ve learned so much from the nitty gritty tales that unrolled before me as I began heading down this road. I’m still collecting anecdotes and probably always will. Some people’s stories allowed me to mentally prepare, some helped me work through specific aspects of treatment, and some diverged from what I actually experienced. All were worthy of contemplation, maybe a stick of incense. There is a certain density to this sort of storytelling that has the capacity to cushion cancer victims, not to mention those who love them. Breast Cancer: A Poem in Five Acts is in the World! Order now through Finishing Line Press! Also available through Amazon and Ingram. I’m currently running a book giveaway for Voice Break. 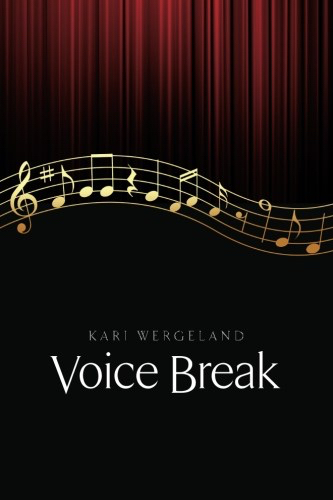 Following the advice of a community college music instructor, Kari Wergeland began taking voice lessons with a respected teacher at the age of 24. After roughly two years of study, with dubious results, she decided to stop singing. She began working as a librarian and eventually turned to writing newspaper articles, fiction, and poetry. Twenty years later, and on something of a whim, Wergeland enrolled in a workshop called The Natural Singer, with vocal coach Claude Stein. Inspired to resume voice lessons, it wasn’t long before she discovered her singing had changed. Voice Break is a long poem of possibility that tells the story of the author’s voice. Within this text, a shorter poem titled, The Next Mountain: a Riddle, becomes a key to the entire piece. Can you guess the answer? I gave up a six-figure salary to live the writing life. Breast cancer made me do it. Now I have a chapbook coming out. But that’s not all. Since the first of the year, I’ve had a short story, an essay, and two poems accepted. I was also named a semifinalist in a fiction contest. Though the submission process has become a cattle call (I do envy writers from earlier eras), the writing life is working out for me in a modest way. My poetry chapbook is about an issue of the day—breast cancer. At the request of my publisher, I dutifully sent out PR to various media outlets, as well as libraries and cancer organizations. I’ve had moments of worry about what I’ve unleashed. I might be called to talk about my cancer story, and I must say I’m not that interested in the sort of fanfare some writers have come to cherish. I probably wouldn’t be a disaster, though. I’m willing to make a perky effort on account of my book—to accept the performance side of the writing life—because I worry even more about the whole thing falling flat, my PR, ignored. Last weekend, I marked up the first set of galleys for the chapbook. Now I’m waiting for final proofs. Copies of this little book will soon be in the mail to those who’ve preordered it. The book will also become available through Amazon and Ingram. And once I receive my own copies, I’ll begin entering it in a few contests. Meanwhile, I’ll probably be tweeting photos of the final product, continuing to bring attention to the darn thing. I avoided Twitter like the plague until a college professor told me how everyone is using it to prove they are publishing, not perishing. 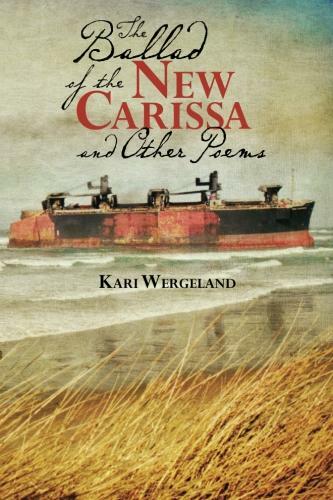 This chapbook is the reason I joined the tweet-o-sphere, though I suspect I’ll stay with Twitter as my writing life works on its tango with the 21stcentury. These days have been moving at an otherworldly pace, along with the weather. Now that I can leave my windows open, the birds have become persistent and musical. Add waves to the mix, and it’s a whirl of sound, which is great because I work at home. As a sole proprietor, I structure my time with regular writing, submission, and PR sessions. And when I’m all finished focusing a beam of thoughts into my laptop, I take a long walk. Spring has been opening up in blossoms, wildflowers, and lush green foliage. As I move through the town or along one of the beaches, new lines run inside my head. If I don’t want to lose something, I stop to type it into my phone; but usually I wait until I’m home to scrawl ideas on the back of an envelope or a scrap of paper. Writing is truly a raison d’être for me, just feeling my thoughts in my fingers as I shape paragraphs or verses. I’ve been finding the courage to go deeper. I often disappear when I write—streams of words just flow. I feel joy when this happens. Needless to say, I’m hardly concerned about not having enough to do as a retiree. In the last nine months, I’ve somehow managed to knock out another book—a collection of short stories. I’ve been diving into this manuscript since August, and now it’s almost finished. I’m not sure how the manuscript materialized, because I wasn’t expecting to write it. I had a handful of stories—and then I wrote another handful. At some point, I organized them into a collection. After workshopping the manuscript with David Ulin, I decided to link my stories. One morphed into a novelette. I pulled another out, on account of the fact that it was speculative fiction and didn’t quite fit. That story was just accepted by Calliope. I think some of the others are better, so I’ll accept this as a good sign. Special note: You can still preorder Breast Cancer: A Poem in Five Acts through Finishing Line Press. Last month I pointed out how the theme of renewal serves as turn in my forthcoming chapbook, Breast Cancer: A Poem in Five Acts. Zen practice is another strand moving through this memoir-in-verse. I did not attempt to write a dharma book. In fact, I’d very much prefer the genre label of Breast Cancerto be poetry or memoir-in-verse, if there must be one at all. However, I do have a Zen practice, such that it is, and I can’t help it when Zen themes creep into my work. During the course of breast cancer treatment, I held on to a number of lifebuoy rings: yoga, movies, friendship, short walks, gardening, and most of all, the couch. As I’ve studied Zen for the last twenty years—ten with the late Charlotte Joko Beck—I also continued to make an attempt to practice with what was happening to me. Life as it is.Joko encouraged a daily sitting practice for most of her students. She also urged them to learn from ordinary life—the worldly stuff they encountered as they went about their days. While she is not named in the book, her influence on the speaking agent is present. She wanted her students to be with their life as they were working or driving or spending time with loved ones. If she’d been alive in 2016, I’m guessing she would have coached me to be the drama of breast cancer. During my time with Joko, I learned to how stay with difficult mind states, to turn into them, watch them move around, play out—hurt even. I learned how to rest in the middle of pain or anger or fear. In time, I found even the toughest emotions and sensations do not hold firm. I would ask questions like: What is pain (physical or emotional)? What is anger? What is fear? In watching what my own mind was doing, I started to see how nothing is fixed, including what I felt. I also began to notice how being attached to any particular sensation, emotion, or drama held me back, tying up my life. Of course, this all sounds well and good, but it is far from easy. I can become attached to little scenes or big ones (little hurts or big ones)—like everybody else. I did not sit every day as I moved through eight months of breast cancer diagnosis and treatment, though I did pull out my meditation bench on occasion. When I could muster the effort, I worked on being present with my daily life. This proved to be a lot more difficult within a cloud of “chemical hum.” Yet even during chemotherapy, there was a place for Zen practice. My nurse practitioner actually encouraged me to structure my days during this difficult time. The couch was allowed and expected, but she also wanted me walking and coming up with an abbreviated schedule. Anything that reduced stress was encouraged. My nurse practitioner liked the idea that I had a meditation practice. As for being with life as it is, I found I was better able to be present as I underwent radiation therapy. Now, when I look back on those months, I can still enter the darker emotions I experienced—the crazy fear that came over me when I first learned I had a suspicious mass, the days that called for holding on. Yet I do not feel I lost my life during that year. In some ways I moved more deeply into it, and the simple pleasures came to mean more. I can recall the fullness of them—many of my cancer memories remain illuminated. Some of these moments in are depicted in this poem.